Despite her sister's alleged elevator altercation with Jay Z, Beyonce set out to show that she still supports Solange Knowles by sharing a slew of sisterly Instagram pics. 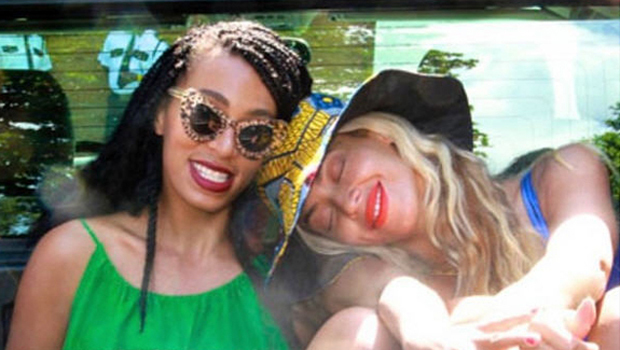 After rumors swirled on Tuesday that Solange, 27, had removed all but one photo of her older sister off her Instagram account, Beyonce posted four pics in a row of her and her sibling. Related Video: ET Flashback! Solange: "I'm gonna make mistakes"
The 32-year-old captioned the first photo: "Good morning." The most recent of pics was taken when Beyonce joined her sister onstage at the Coachella Music Festival this past month. What do you think of Bey's recent Instagram statement?